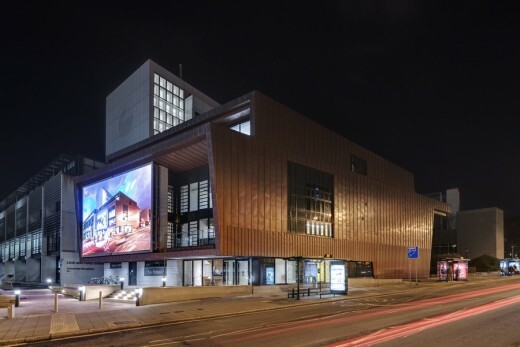 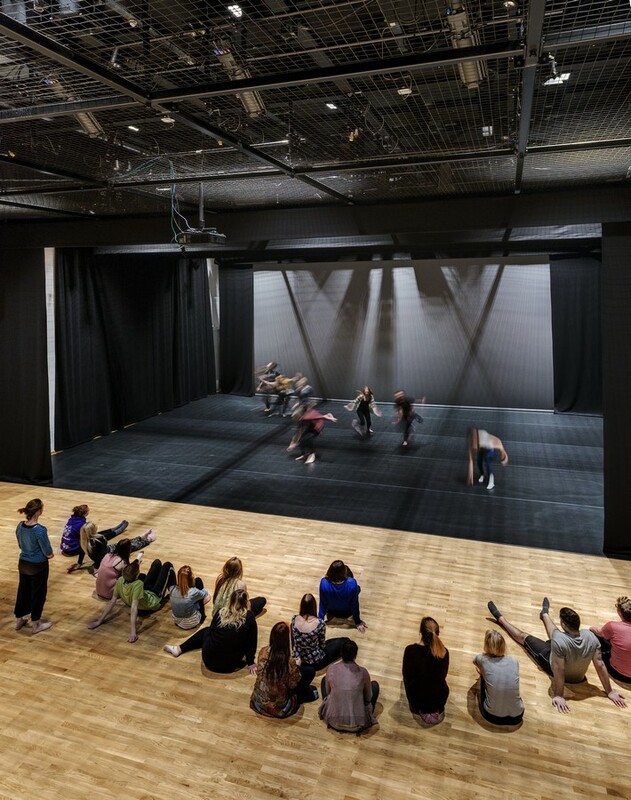 Leading architecture practice Burwell Deakins Architects has completed a new £4.3m performing arts centre for Plymouth University, located on its city centre campus. 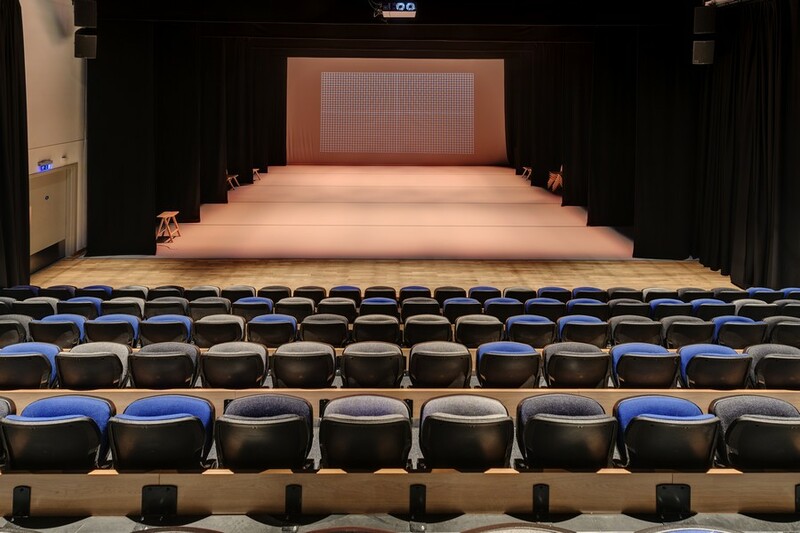 ‘The House’ accommodates a 300 capacity auditorium, a flexible ‘white-box’ theatre and music rehearsal rooms, within an area of 1,540m2. 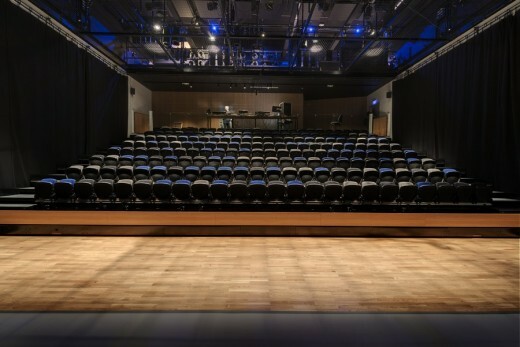 The centre also houses communal areas, which can be used for improvisation or informal performances. 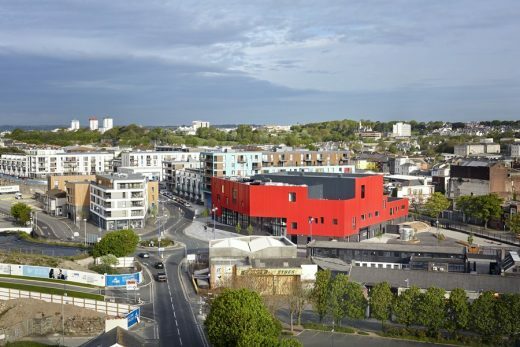 Since 2006, Burwell Deakins Architects has worked with Plymouth University to create an integrated campus masterplan, in which The House plays an integral role. 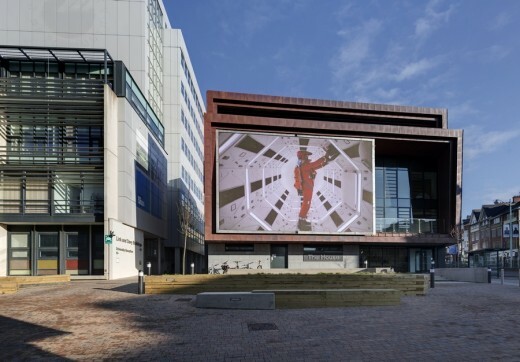 Aligned with the City Museum, the Central Library and the Roland Levinsky Building, The House strengthens the campus’s cultural axis and acts as a gateway to Plymouth’s nascent cultural quarter. On the south facade, an 11 x 6.5 metre external screen is capable of transmitting live performances to the general public. 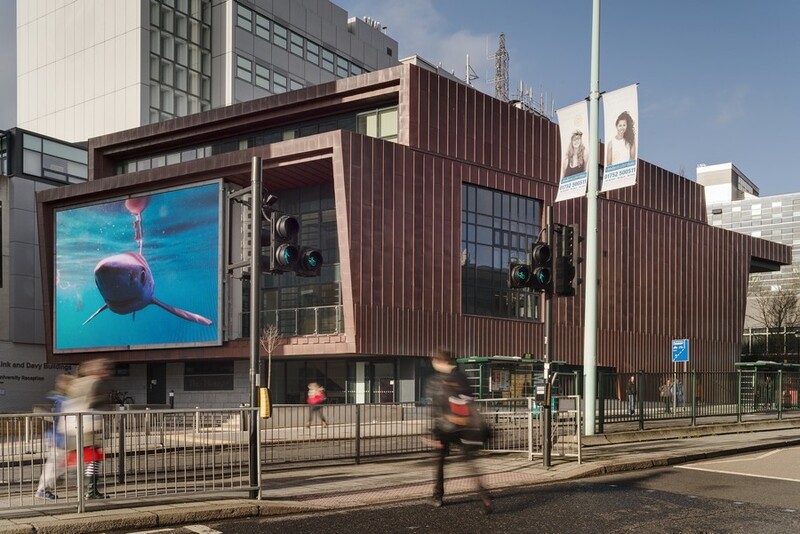 The south façade is also detailed with large glazing panels and balconies, enhancing visibility between inhabitants and pedestrians on the street level. 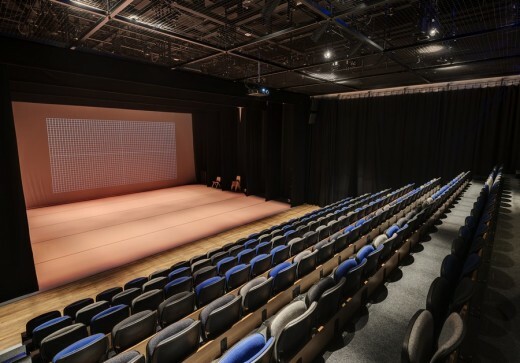 The brief from Plymouth University required the building to cater for integrated disability performances, and so the facility is designed to be fully inclusive for performers, technical students and audiences. 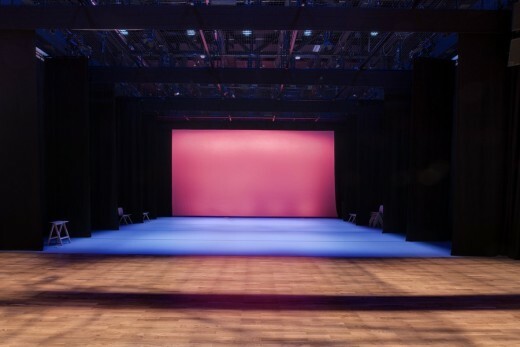 This includes the incorporation of a tension grid over the entire theatre space, allowing full disability accessibility to the lighting and sound equipment, multi-level access to theatre spaces and fully wheelchair accessible evacuation systems. 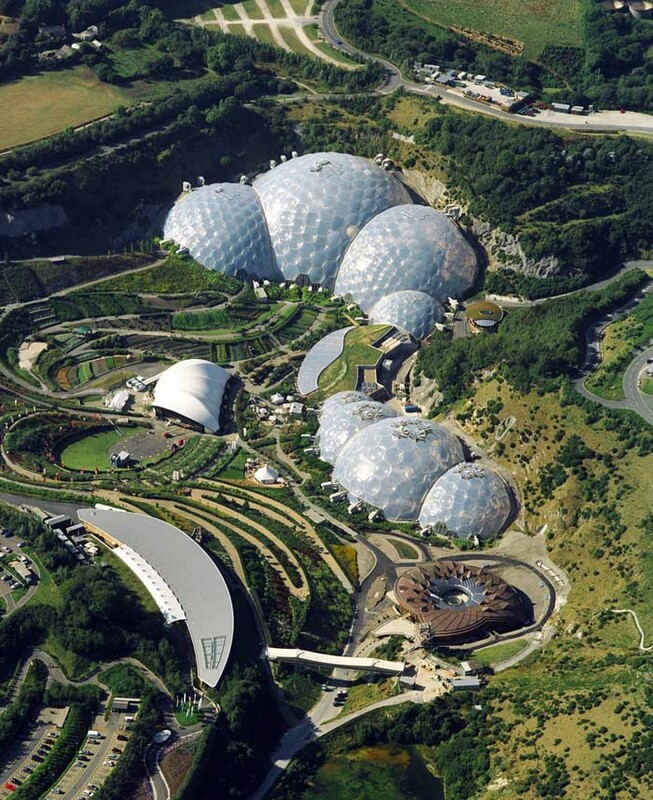 The landscape has slow, integrated ramps that mitigate the effects of the sloping site. 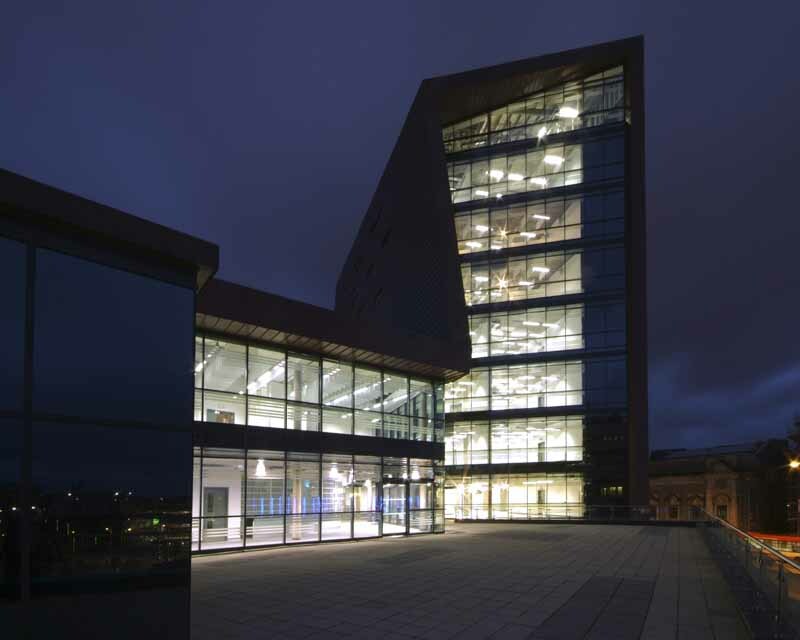 The scheme uses a natural ventilation strategy and is designed with extended labyrinth intakes to minimize break in noise. 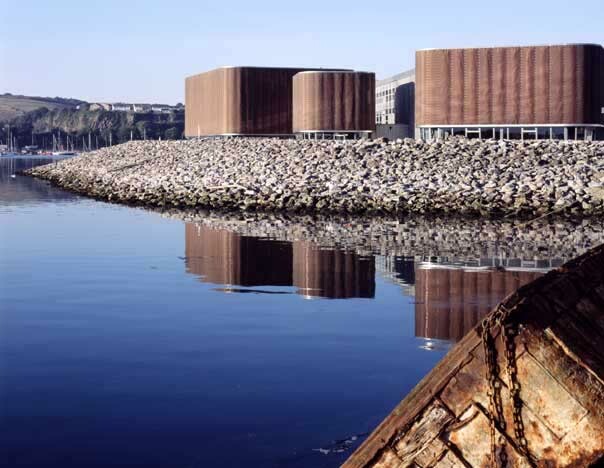 This is used in combination with exposed pre-cast concrete soffits, phase-change materials and connections to the central CHP plant to achieve a BREEAM Excellent rating for the building. The steel structure has a lightweight, highly insulated infill frame, helping to create a thermally stable environment. In response to the surrounding urban environment, the building’s skin is made from standing seam copper, in dialogue with the adjacent Roland Levinsky building. 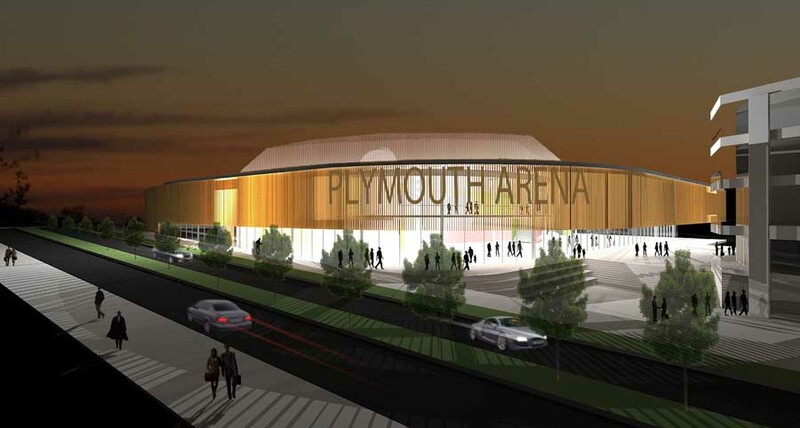 The building is also clad in locally-sourced Plymouth limestone, a traditional building material in the city.